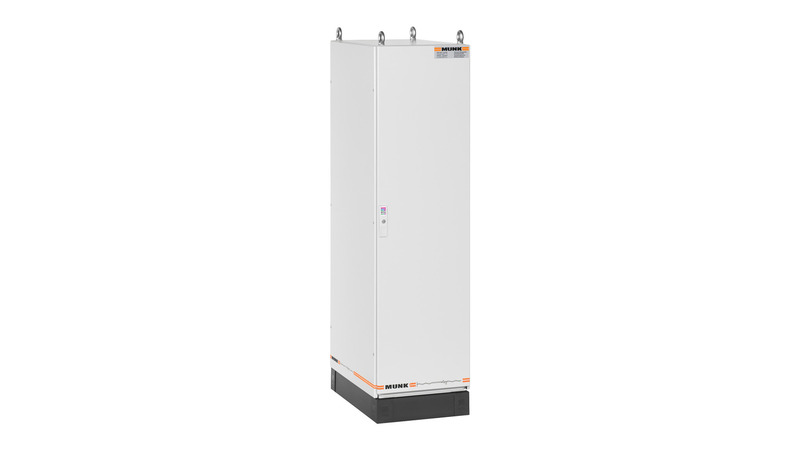 The water-cooled PSP 2540 rectifier has been designed especially to meet the demands on rectifiers used in rack- und barrel-type installations in plating plants and small part anodizing lines. With a base size of less than 0.25 m², a splash-proof enclosure with base and a height of 1.5 m, this rectifier fits everywhere. The PSP 2540 ensures low operating costs due to an efficiency of more than 87 % and an efficient water cooling system. This water-cooled rectifier can be sufficiently cooled utilizing an air to water heat exchanger in most environments whithout the needs of expensive refrigeration units.